After 3 online orders and one trip to the store I've received just about everything I've snagged from the Nordstrom Anniversary Sale so far. You guys are always the most interested in what I've actually purchased, so I wanted to try something different and do a (not so little, lol sorry) try on sesh of everything that's come in. With this sale it's always better to over order and worry about returning later, which is exactly what I did. If it's going back I've mentioned it below, but I also haven't made up my mind on a lot yet! Also, I did include some things that are currently sold out. But they're definitely restocking! These leggings, for example, sold out during the internet meltdown on day one and by the time I was able to place my order they were gone. Since then they've been fully restocked and I was able to get them last Sunday. Plus, the sale opens to the public on Friday so I can almost guarantee they've saved things! Long story short, it's worth obsessively checking back if there's something you have to have and if it's available, don't wait! This is a great basic. 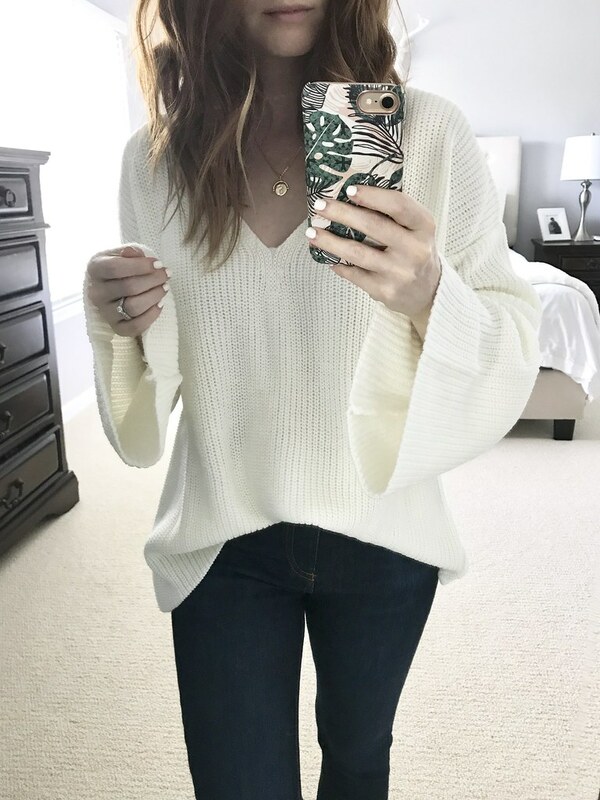 You can wear it off the shoulder with booties and jeans or with a lacey bralette underneath for lounging. I got an XXS and it was still pretty roomy, so I'd say size down. 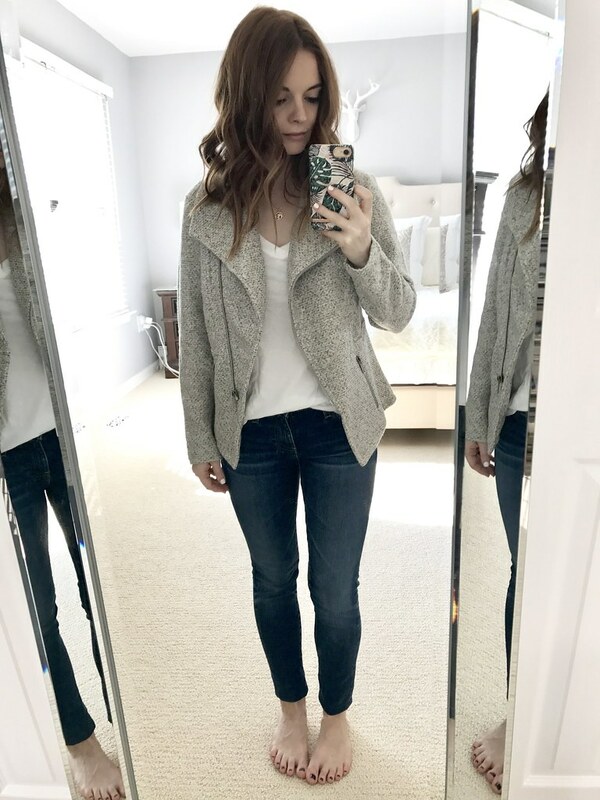 The hype over these jeans is real, you guys. I don't often buy designer jeans because they're usually a little too big and the price is always way more than I'm willing to spend on demin (Topshop is my jam for fit, quality and price) but I'm in love with these. They fit like a glove and are so flattering. They're a little long but have a raw hem so I can cut them to where I want without having to worry about taking them to a tailor! 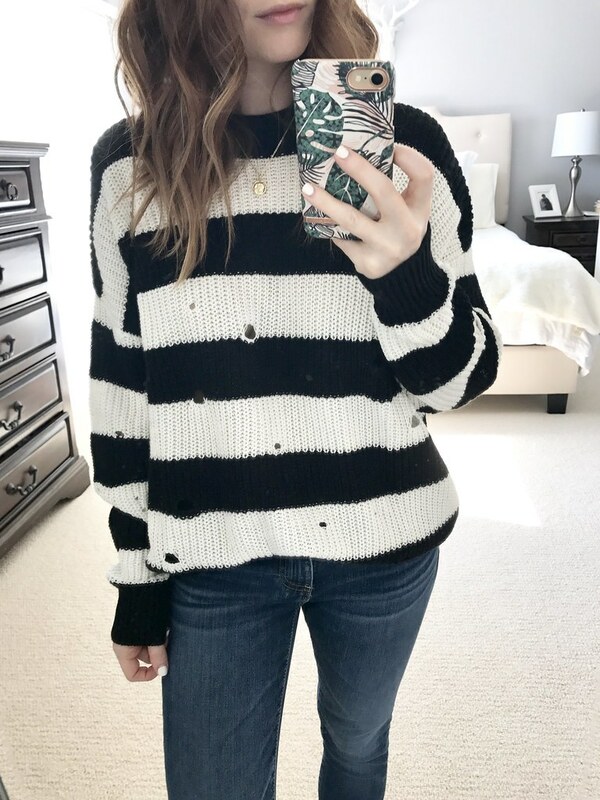 The online photos of this sweater definitely don't do it justice (at least the ones on the model -- the lookbook photo is more accurate). It looks super stiff but is actually so soft, slouchy and comfy in person. It's one of those pieces I know I'll reach for constantly in the fall and winter. It's supposed to be a bit oversized so I went with an XS and it's perfect. 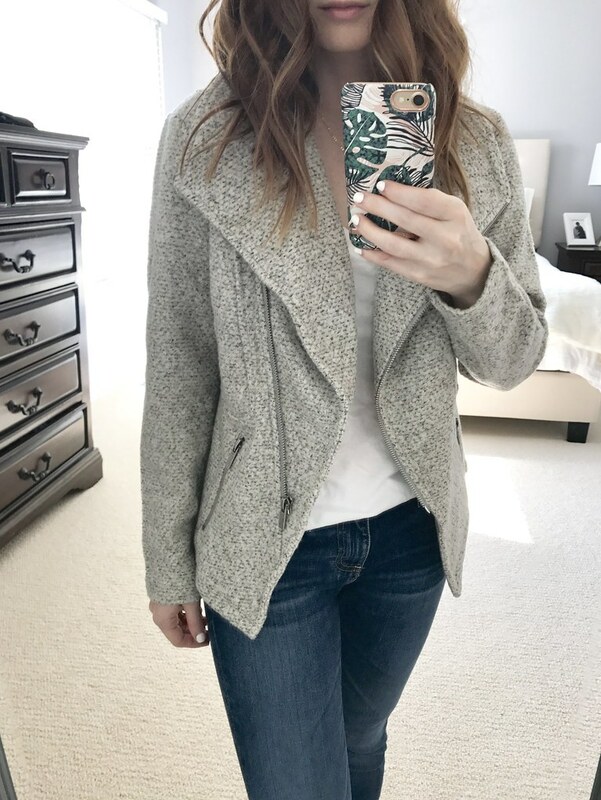 This jacket will be my go-to once the temps start cooling down since it's perfect for that weird transitional weather. 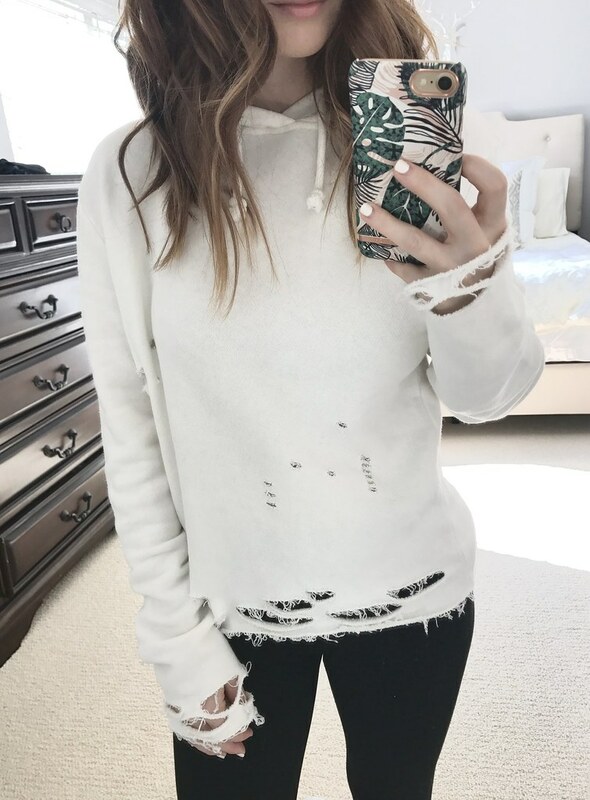 I love the moto style and the knit material makes it sooo comfortable. I got the heather gray but it comes in navy and black as well and I'm honestly tempted to get another color! 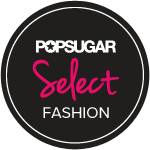 If you're not petite, it's also available in regular sizes! 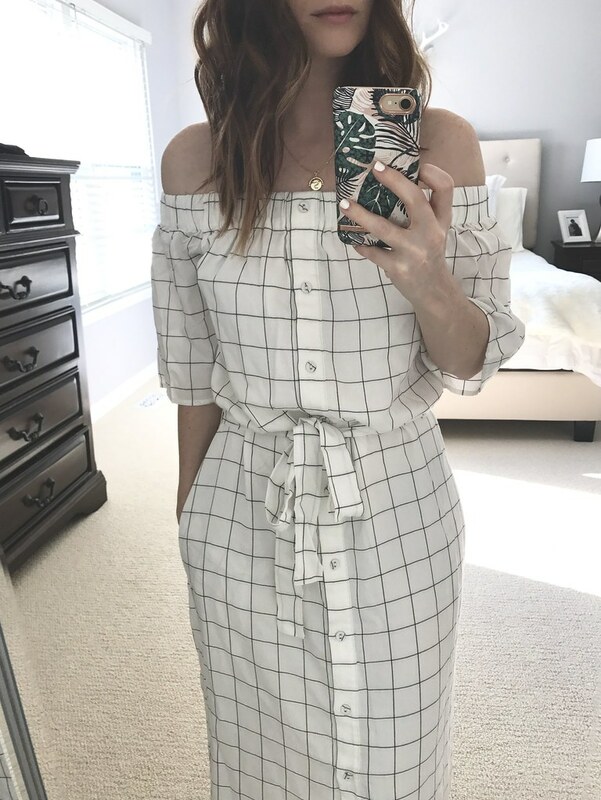 You know I can't resist a good off the shoulder piece and I fell in love with this dress when I first saw it. 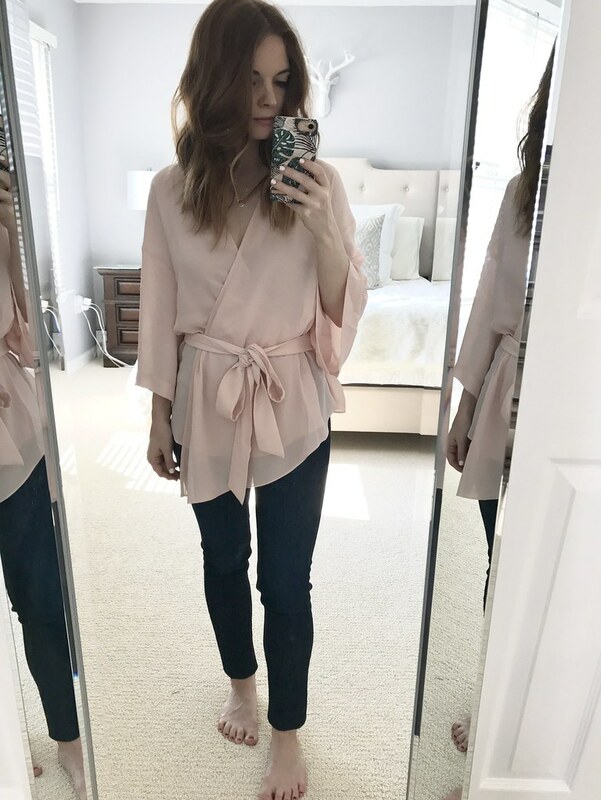 The tie waist is super flattering and the material is really soft. Plus, it has pockets, which is always a win! Though it definitely needs to be taken up a few inches since I'm short. I'm still not sure I'm going to keep it because I don't know if it's something I'd wear over and over, but I'm having a really hard time with the idea of sending it back. 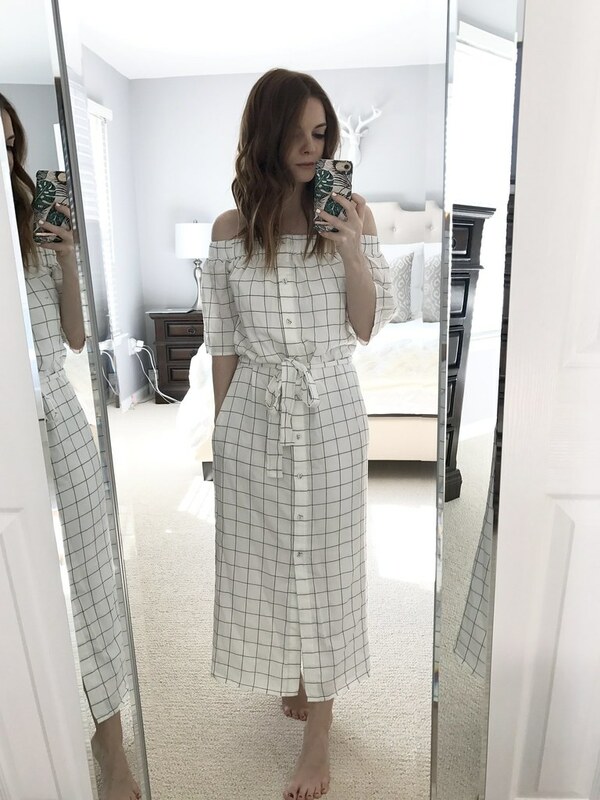 The quality is great and it's perfect for spring and summer! The fit is TTS. I knew my husband would make fun of me for buying this sweatshirt but I seriously didn't care lol. I will basically be living in the outfit pictured here all fall. I got a size 4 because I wanted a looser fit. 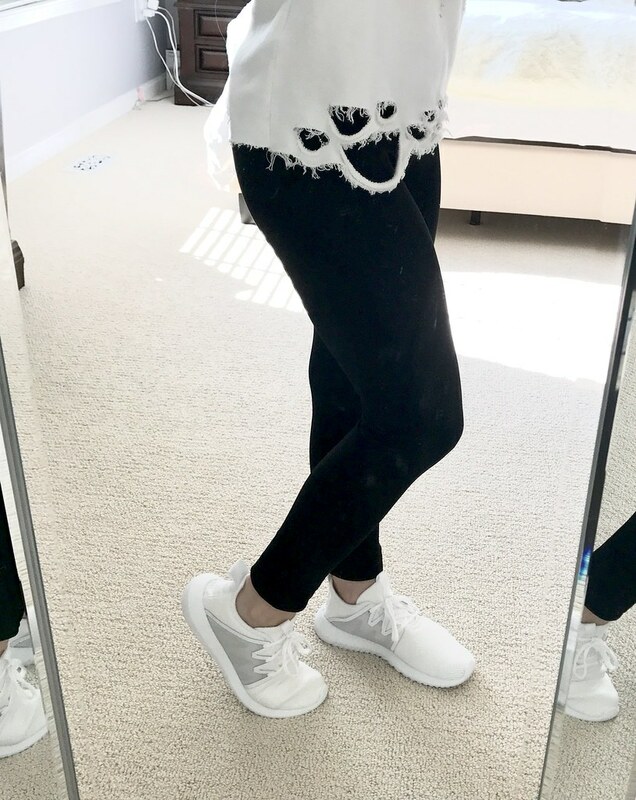 I've talked about these leggings before and I stand by that they're my absolute favorites! Probably getting another pair (or two) before the sale is over since the price is so good. This is one of those pieces I really wanted to try but was pretty sure I would send back. Then it arrived and now I'm not so sure! 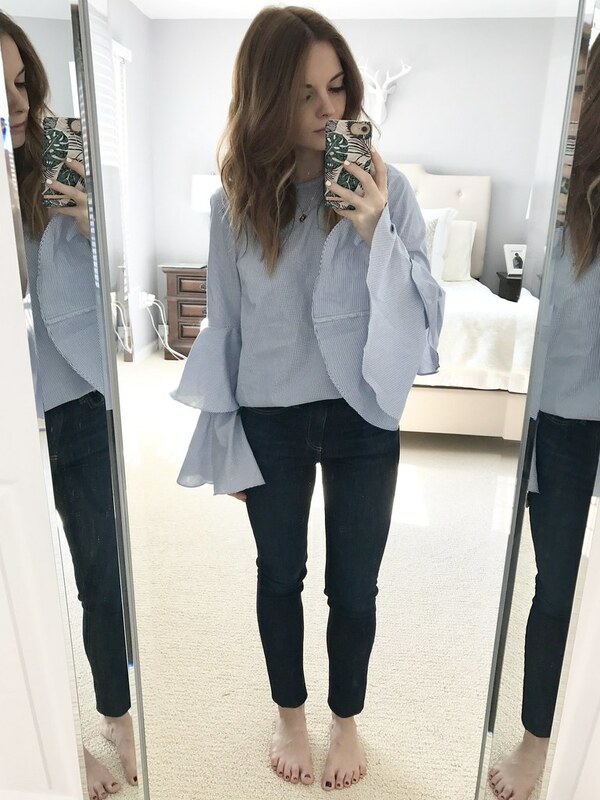 The material is much softer than it looks and while I normally avoid peplum, this creates a beautiful shape without being too over the top. I also thought the eyelet would be too see through, but I honestly didn't even notice! 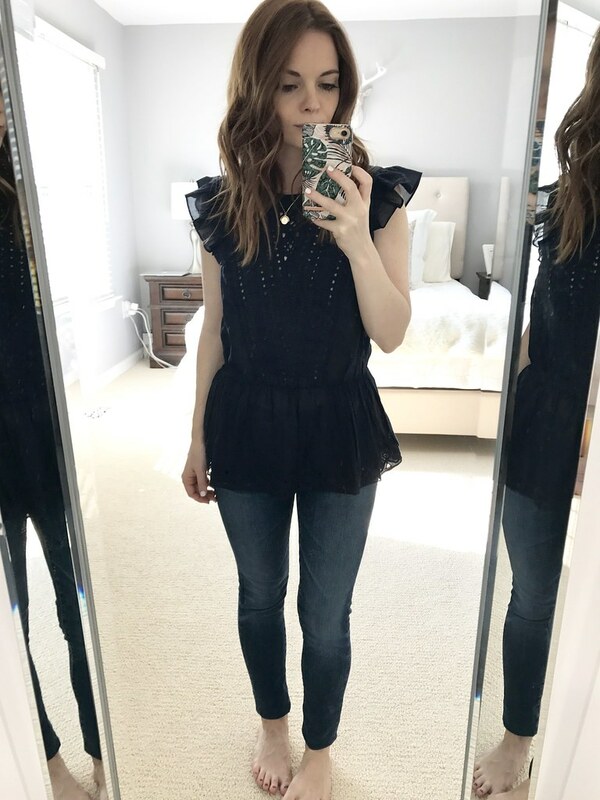 Weirdly, I think I like this top better in the photos of it on me than I do in person haha. It's very breezy and pretty, but draped kind of weird. 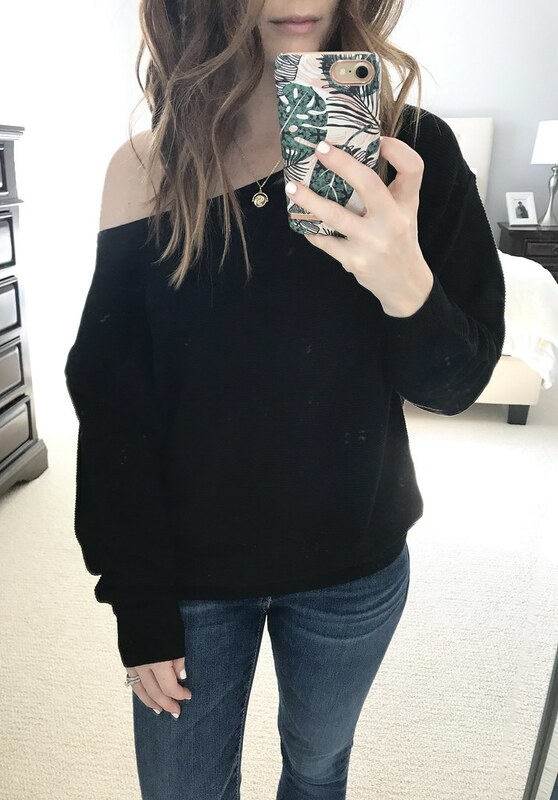 The little snap closure to hold the top together was almost in the wrong spot and made it sit weird, but I think it's just because I'm petite. Sadly I'll be sending it back, but I do think it'd be great for a 9-5! These were actually part of my second order. I wanted to try them since I'd heard really good things and I'm definitely not disappointed! I planned on comparing these with the AG pair to see which I liked better but I might keep them both! These are much thinner, have a higher waist (which I prefer), a darker wash and are very comfortable. They don't fit quite as tight around the knee/calf for me, which could be a result of their length, but again the raw hem takes care of that issue. Still haven't decided if I'll keep or not, but I'd highly recommend them! 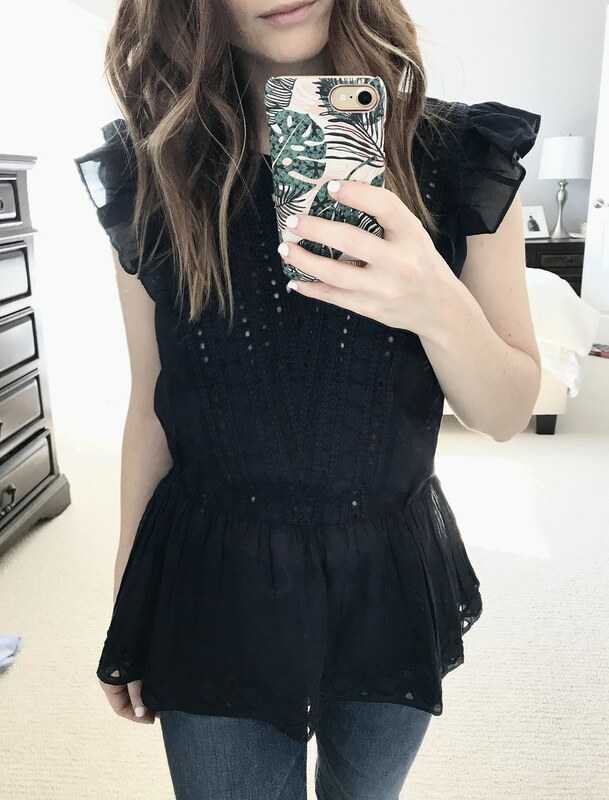 This top is so pretty and fun! 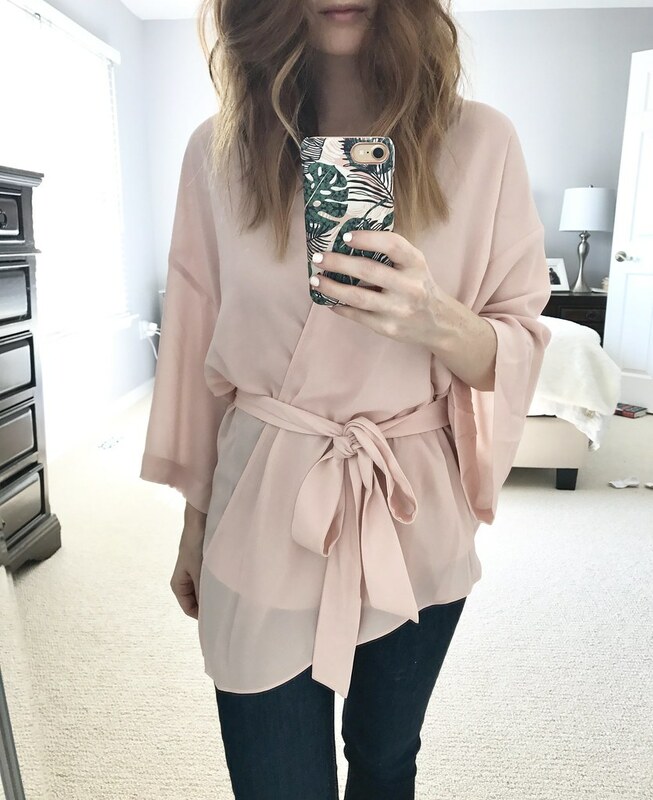 The sleeves are definitely challenging from a practical standpoint but sometimes it's totally worth it ;) I love the material (poplin, so more like a button down dress shirt) and it has a great slightly oversized fit. 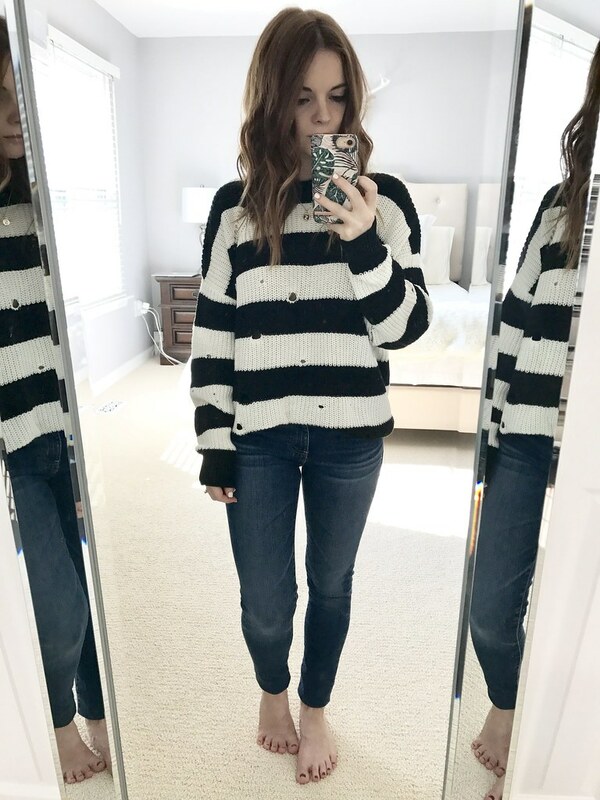 The blue striped version is currently sold out online, but it also comes in white. I got an XXS and still had plenty of room so I'd suggest sizing down. 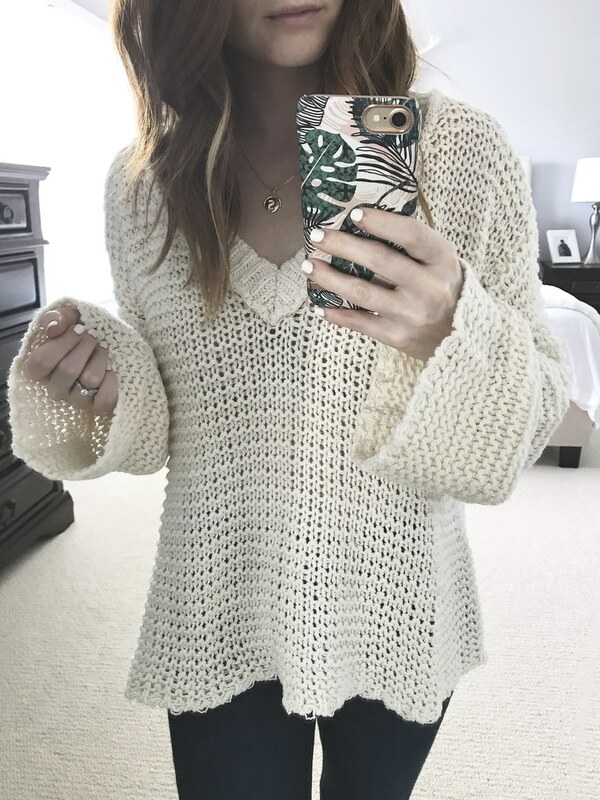 If you're looking for a great summer sweater, this is it. The open knit makes it perfect to toss on with denim cutoffs and it's just the right amount of slouchy. 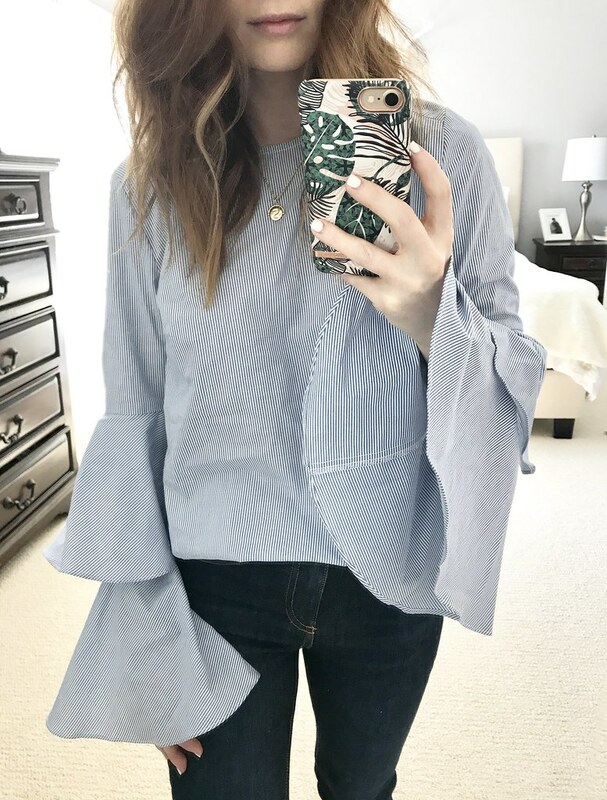 But if we're being honest, I'm not crazy about the way this fits on me and don't love the slightly flared sleeves, so I'll probably be sending it back. 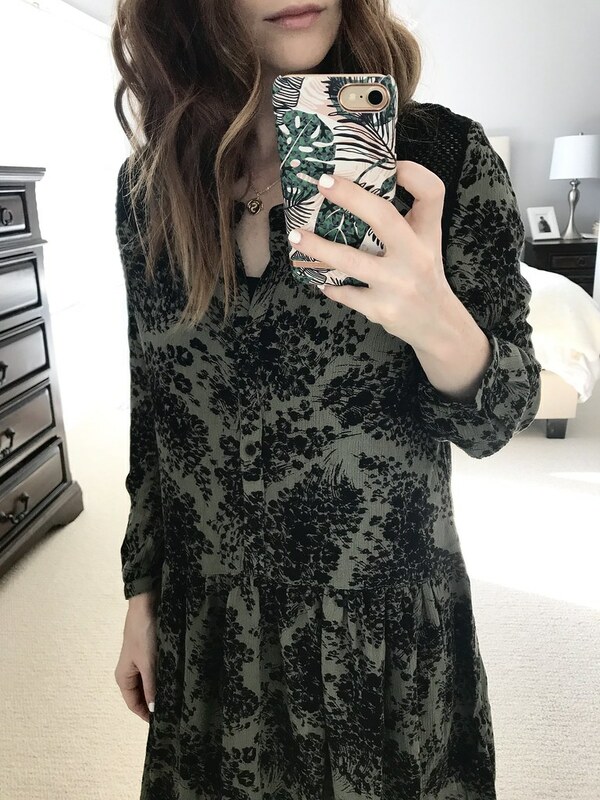 I love the dark floral print of this dress but it's just too overwhelming for my frame. Even though I got an XXS, it's still pretty oversized. Since it lacks shape, it just didn't do much for me and probably wouldn't make a difference even if I got it hemmed. 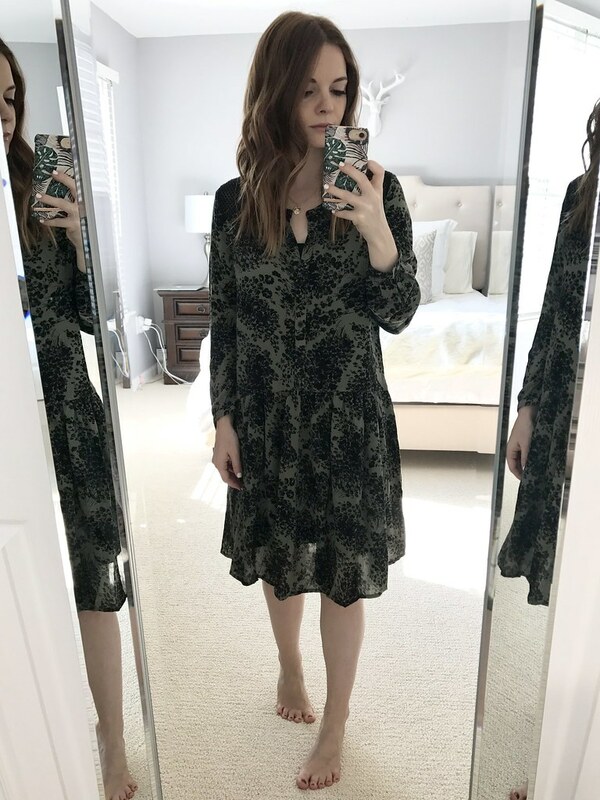 If you're a normal sized human, however, I'd highly recommend it since it's super cute for fall! 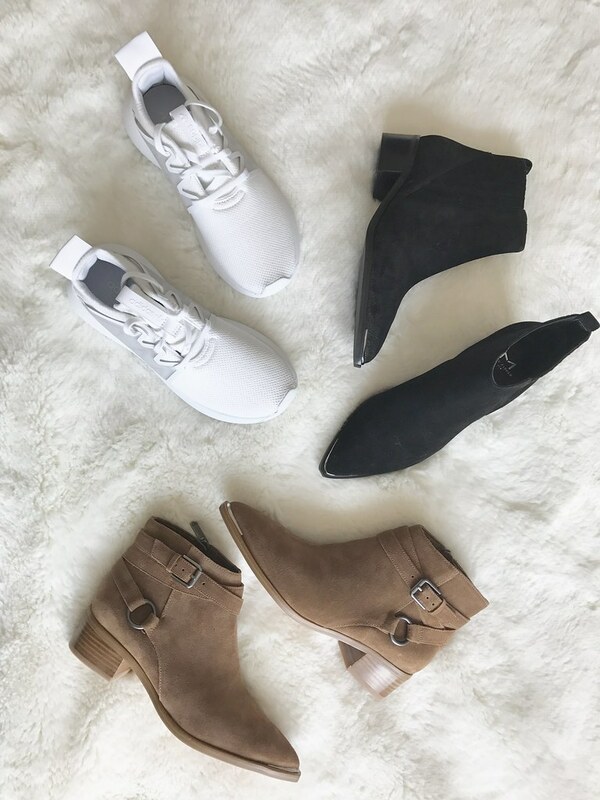 I loooooove these booties! 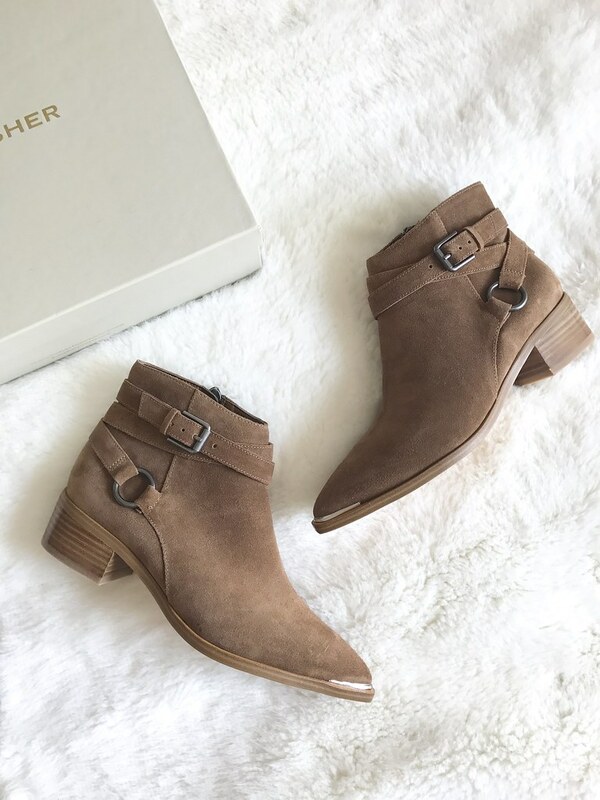 Every girl needs a pair of brown suede ankle booties and these are perfect. The buckle detailing on the outside gives them an extra edge and the toe is just the right amount of pointy. I got a 5.5 (my usual size) but they feel a little snug and probably will be even more so with a thin sock so I might swap them out for a 6. 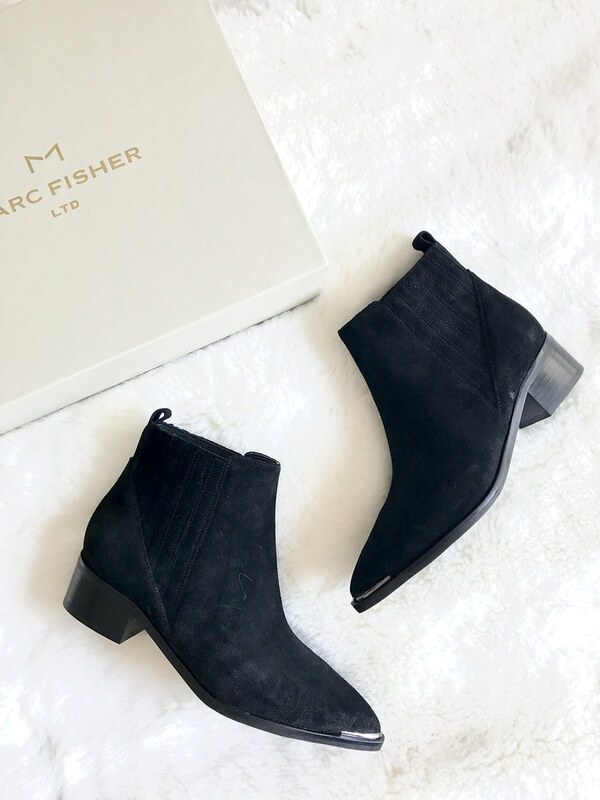 It doesn't get more classic than this when it comes to a black bootie. The suede is gorgeous and I love the block heel. Unfortunately, the shaft seems to come up a little higher on my shin, which can make my short legs appear even shorter. So they're going back. I ordered these (in regular leather) in hopes they'll work a little better for me! Phew! If you made it all the way to the end, congratulations ;) In addition to everything here, there are still a few more things I have my eye on so I'll be sure to update you with any other purchases. Also, has this been helpful? 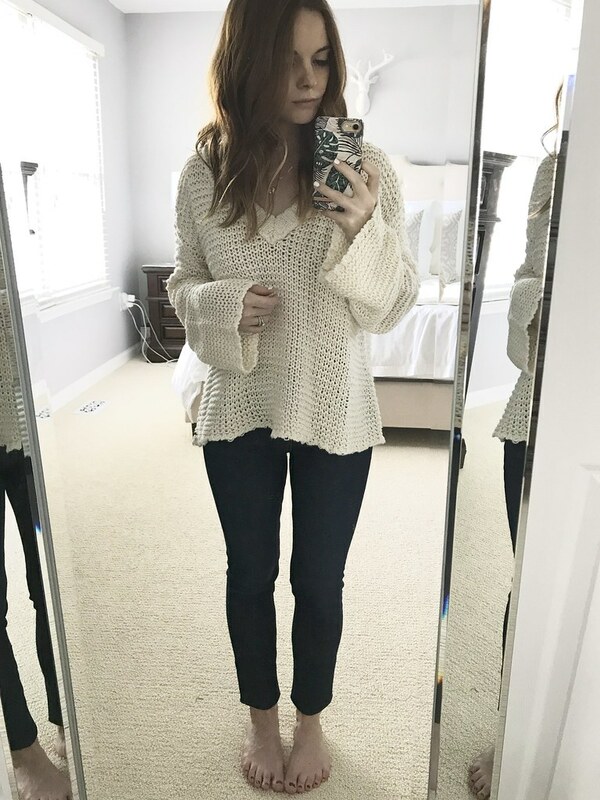 Personally, I always like when other bloggers show and talk about how things fit, even more so during this crazy sale! If this is something you're into and want more of (anytime of the year), please let me know! And if you feel like sharing what you've snagged so far, I'd love to hear about it!